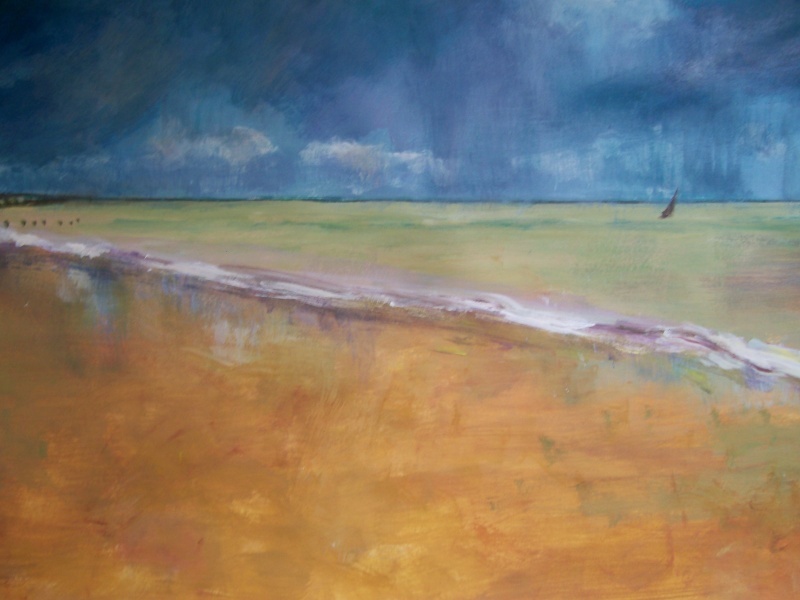 My recent work is about the sea, at Walton on the Naze and Frinton in Essex.The work is in either acrylic or gouache and almost all about 20 inches by 14. I have always painted landscapes, at first London parks, then fields in Norfolk, now the estuary around Colchester and Wivenhoe. I have shown in London, most recently at the Highgate Gallery, and in Essex at the Mercury Theatre, the Wivenhoe Gallery and the Tower at Walton on the Naze. I studied at Hornsey Art School and Camden Institute.